The task of screeding a given floor often requires the involvement of highly­skilled workers. Birmingham Floor Screeding is thus considered a specialized job that not all workers can easily and quickly master. For one, the typical screed mix is known to be quite strong, but when prepared by a generally inexperienced screed worker, can prove to be ineffective and may even damage the flooring as a consequence. Birmingham Floor Screeding experts are aware that many floors onto which a prepared screed mix will be poured are seldom laid out perfectly. 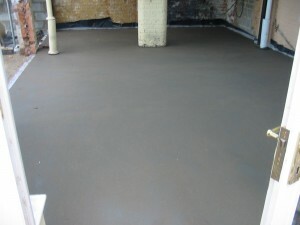 For this reason, a screed needs to be mixed well in order to help produce level flooring. This can be a problem at times for many screeding companies, especially these days when concrete slabs are being eased out in favor of precast concrete models. Indeed, precast concrete flooring has become a preferred choice among a growing number of house builders. Unfortunately, these flooring systems have been found to contain cambers which often prove to be problematic especially when floor finishes have to be made. As a result, builders have to resort to the use of floor screeds even as this can be quite expensive. In this regard, it is interesting to note that despite the costs, coming up with the perfect screed mix is seldom achieved. The traditional way of producing screed is by mixing cement with sand through a designated machine. This process has gone through several changes with the latest trend geared towards screed production delivered by pumping.